With preseason action in full swing around the National Football League, it’s time to start formulating a plan of action for your fantasy football draft. Whether you are a casual player who is simply aiming to win office bragging rights or a serious player who has hundreds or even thousands of dollars on the line, being prepared when draft day rolls around is an absolute necessity when it comes to fantasy football success. Part of being ready is knowing which high-risk, high-reward players to target in the middle and late rounds of your draft. Fortunately, we have done the research for you. Here is a look at seven fantasy football sleepers you should target in the later rounds of your upcoming draft. After emerging as one of the premier deep threats in the league during his time with the Pittsburgh Steelers (2009–2012), Mike Wallace has struggled to consistently produce at a high level for the last three seasons. Part of his noticeable decline in production is on him (dropped passes and poor route running, for example), and the other part can be attributed playing in offensive schemes that weren’t necessarily conducive to his skill set. 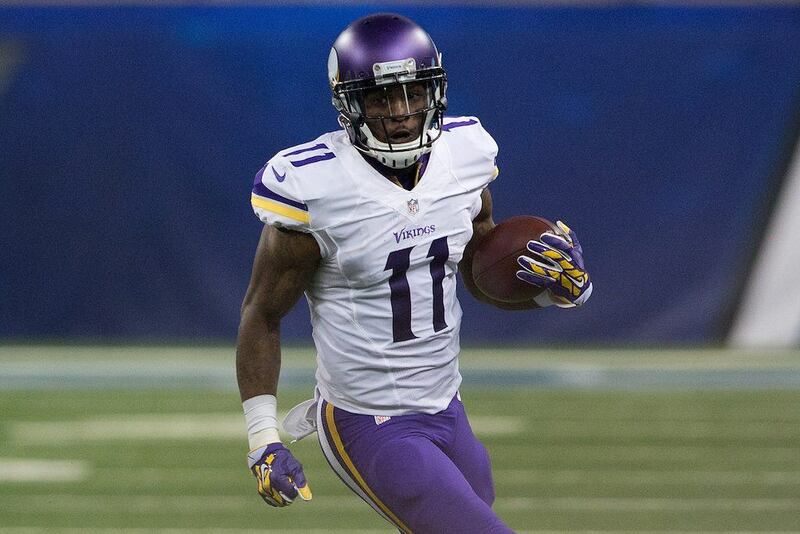 In 2016, Wallace will return to playing in a system that is tailor-made for his strengths as a football player. For the last few years, the Baltimore Ravens have been searching for a legitimate downfield threat to pair with quarterback Joe Flacco, who is one of the best deep ball passers in the NFL despite all of his other shortcomings. Judging by the reports coming out of Baltimore’s training camp, it appears as though the Ravens have finally found that player in Wallace. Expect to see the 30-year-old wide receiver post the third 1,000-yard receiving season of his career in 2016. While the Oakland Raiders have struggled in the win/loss column during Derek Carr’s two years in the NFL, the former Fresno State signal caller has proven that he is capable of consistently producing above-average fantasy football numbers. In 2015, Carr threw for 3,987 yards and 32 touchdowns with 13 interceptions. With a vastly improved supporting cast, those numbers should improve in 2016. The Raiders now have one of the top offensive lines in the league, two Pro Bowl-caliber wide receivers (Amari Cooper and Michael Crabtree), and a tight end with game-changing potential (Clive Walford). While he will face several staunch opposing defenses throughout the year, we are still fairly confident that Carr will produce like a top-10 fantasy football quarterback in 2016. When Arian Foster is healthy, there is no question that he is one of the top running backs in the league. He will get a fresh start with the Dolphins in 2016, and by all accounts, Foster has proven throughout Miami’s training camp that he not only looks healthy, but he also looks better than ever. The Dolphins may struggle at times on the offensive side of the ball this season, but if Foster can beat out Jay Ajayi for the team’s starting running back job, we fully expect him to produce big numbers — especially in Adam Gase’s offensive system. As a rule, we are always skeptical of rookies when it comes to fantasy football, but Sterling Shepard could prove to be an exception to our rule. There is absolutely no denying that Odell Beckham Jr. is the No. 1 wide receiver for the Giants. Thanks to Beckham’s presence, though, Shepard should almost exclusively see one-on-one coverage all season. In the Giants’ pass-heavy offense, that could very well result in the rookie out of Oklahoma catching 75 or more passes for well over 1,000 yards, which isn’t bad for a player who will likely be available in the later rounds of your fantasy football draft. The Bears used the No. 7 overall pick in the 2015 NFL Draft to select White, and after Kevin suffering a stress fracture in his shin, the former West Virginia star missed his entire rookie season. 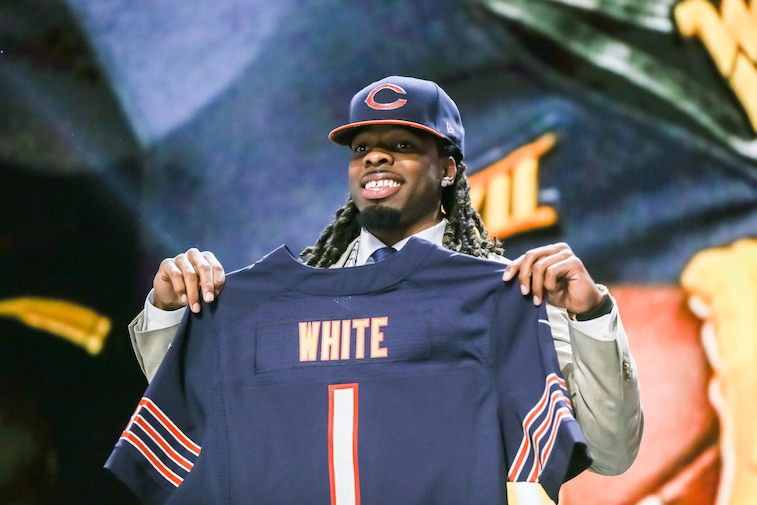 Now, White is completely healthy and looking to justify his draft position in 2016. Based on the reports coming out of Bears camp, he is well on his way to doing just that. The Bears will likely struggle at times on offense in 2016, and they will likely spend a lot of time playing from behind. To us, this means that Chicago will throw the ball a lot this season. Don’t be surprised if White goes on to post well over 1,000 yards in 2016 as a result. Fleener has put up solid, not spectacular, numbers during his four-year NFL career, but 2016 has the potential to be a huge year for the former Stanford tight end. He left the Indianapolis Colts this offseason to sign a free agent deal with the New Orleans Saints, and based on his skill set, Fleener is a near-perfect fit for Sean Payton’s offense. At 6-foot-6 and 250 pounds, Fleener’s strengths as a football player come in his abilities as a pass-catcher. If we have learned anything about the Saints’ offense with Drew Brees under center and Payton calling the plays, it’s that they are going to air it out. Knowing this, we are predicting a 70+ catch, 800+ yard season for Fleener in 2016. Tyrod Taylor has a dual-threat skill set that few other NFL quarterbacks possess. In fact, he often gets compared to another former Virginia Tech quarterback named Michael Vick. While Taylor is not quite Vick when it comes to running ability, he is close. Taylor is, however, a better pure passer than Vick ever was. That said, we fully expect Taylor to improve upon his 2015 numbers and emerge as a top-10 fantasy football quarterback in 2016. Statistics courtesy of Pro-Football-Reference and ESPN.